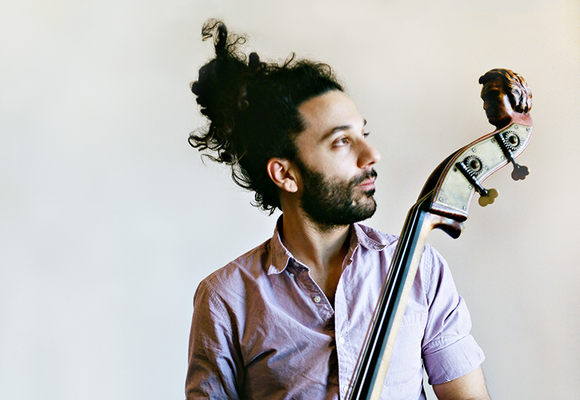 Born in Jerusalem and raised in Buenos-Aires and Tel-Aviv, Or Bareket is currently one of the most in-demand bassists on the NYC jazz scene. Winner of the 1st prize at the International Society of Bassists' jazz competition in 2011, Or’s diverse heritage informs his distinct style. His approach to improvisation and composition is informed by Mediterranean, South American, and North African folklores.ne. Since moving to New York, Or has performed, recorded, and toured with a wide array of artists all over the world. Notable collaborations include Ari Hoenig, Jean-Michel Pilc, Aaron Goldberg, Sam Yahel, Jacques Schwartz-Bart, Leon Parker,Chris Potter, Yotam Silberstein, Eli Degibri, Cyrille Aimee, Banda Magda, Petros Klampanis, and Omer Klein among others.